Åre is a picturesque and traditional locality in the county of Jämtland. Easily accessible by train and plane, Åre has become over the years a growing tourist destination. Not surprisingly at all, locals have invested in the heavy industry of tourism. The existence of Åreskutan mountain at 1420 m/4658 ft has given birth to Åre Ski Area, the most popular skiing resort in the whole Scandinavia, which in 2008 apparently won the award of the world’s best ski resort. 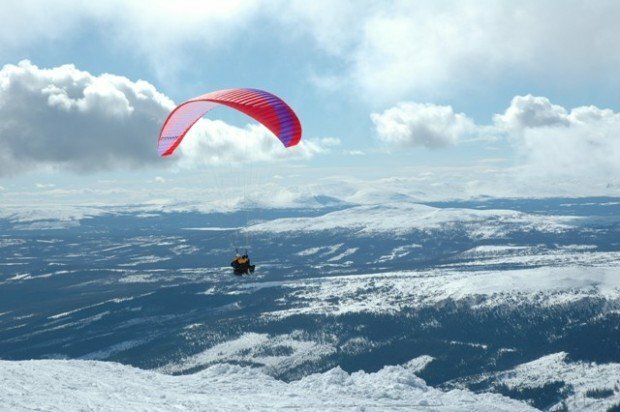 But except of a great variety of skiing sports to practice, Åre happens to be a perfect place for paragliding. Once you reach the top of Åreskutan by cable car, you will find the paragliding center. 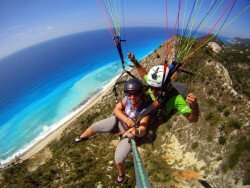 Paragliding offers you the mystical opportunity to explore the beauty of the area as if you were a bird. 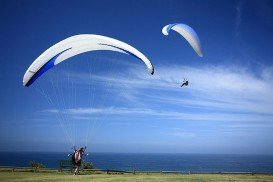 You can choose between a tandem-jump or motor paragliding and fly from the top of the mountain, pass above the village and land to the frozen lake with the air on your side! A normal flight lasts about 15 minutes and all you have to do is to get dressed appropriately for winter and the rest leave it to the experienced instructor. Mona Vale is a suburb in northern Sydney, at about 28 km/17 mi in the north of Sydney's CBD (Central Business District). Mona Vale beach streches at about 1 km/1093.6 yd in between the broad rock platform that divides it from the Basin on the north side and the Warriewood beach, on the south side. This spot provides you with good facilities and a picnic area. 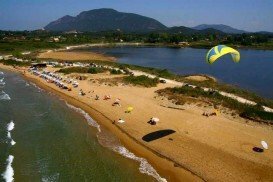 The magical island of Lefkada or Lefkas is situated opposite the west shores of Aetoloakarnania, in the Ionian sea and is part of the Eptanisa island complex. 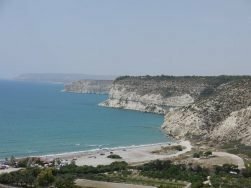 Lefkada differs from all the other islands, because it is connected with the continental Greece by a floating bridge. It boasts breathtaking beaches with clear blue waters, cosmopolitan seaside towns, mountainous villages, lush nature and is well-known as an attraction for extreme sports lovers! 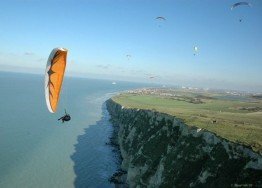 Le Havre is a city, situated on the right bank of the river-mouth of Seine on the English Channel, in northwestern France, at the Seine-Maritime department of the region Haute-Normandie. Although it is not a very populous city, it is the most populous commune in the Haute-Normandie region and the second largest prefecture in France, right after Reims. The port of Le Havre is the second busiest one after Marseille.